TRUCK MOVES NZ DELIVERY SERVICE IS A FAST, COST EFFECTIVE, CONVENIENT WAY TO GET YOUR COMMERCIAL VEHICLE FROM, SAY AUCKLAND TO BLENHEIM…. Specialising in new truck deliveries, Truck Moves New Zealand are more than just a vehicle delivery service. They provide a range of commercial vehicle services such as fleet management, logistics, storage solutions, grooming, portside vehicle quality control and surveying. They are a family run business and proud of their willingness to ‘go the extra mile’ for their clients. 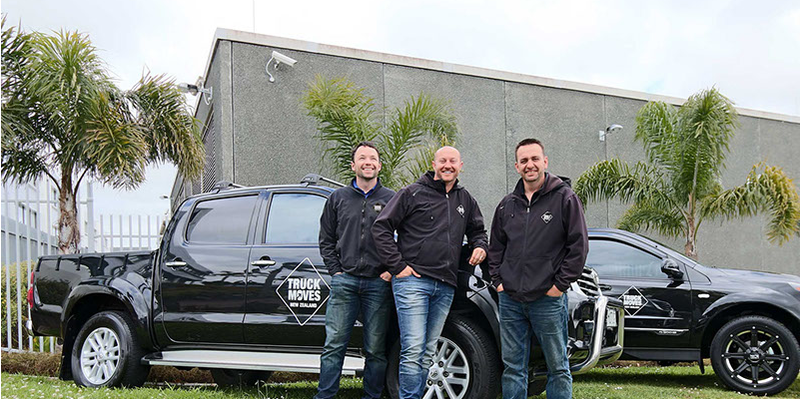 With staff based in all of New Zealand’s main ‘transport-dense’ centres, and over 20 years of experience behind them, the team at Truck Moves NZ really know their stuff. You can be assured you’re in good hands. Like many transport businesses Truck Moves NZ were struggling with the return of paper work, from delivery details to driver’s expenses. The delays in getting this paperwork back was impacting on their ability to invoice and as a result having an impact on cash flow. A reduction in data input and paperwork, freeing up time for our administration people to work on other important facets of our business such as growth, H&S… and actually having a lunch break! We loved the fact the company was designed specifically for transport businesses, and being local was a plus – we always try to support local businesses where we can. The adaptability of MyTrucking to suit our rather unique business model was a major plus, including MyTruckings enthusiasm to assist us mould the program to suit. The result was brilliant. The switch-over was quick and pain free. The program felt far more intuitive than our last program, making training and setting things up much faster. Headaches were kept to a bare minimum, and the support during changeover was superb. Infact, the backroom support hasn’t changed – it’s fantastic! Linking MyTrucking and Xero has been awesome – It has cut the admin teams invoicing time in half. Constant updates and new features coming from the MyTrucking team are always impressive. It seems they refuse to sit on their laurels and are constantly striving to be the best management software available. We know we are in good hands. What are the key benefits that MyTrucking provides? For us, having an App that the drivers can see jobs on whilst on the move, the ability to add photos for fuel receipts to add to jobs, and the dashboard layout were just a snapshot of the many things that drew us to MyTrucking.